The corn purée is sweet and so flavorful. 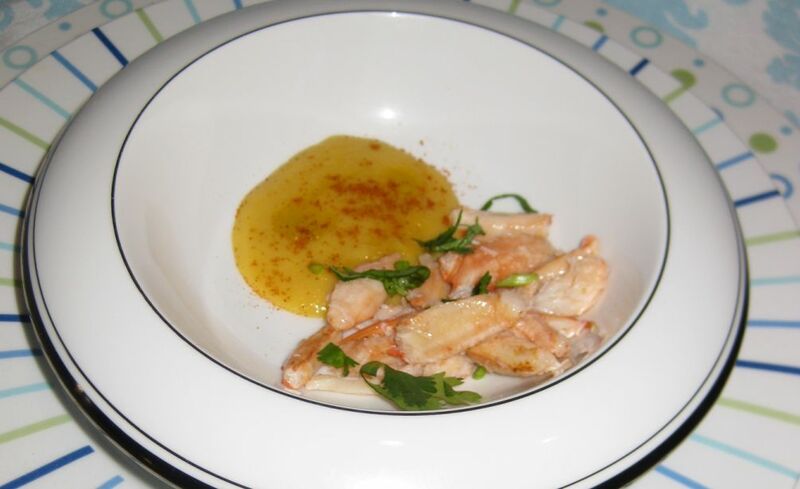 I use fresh dark crab meat so they are sweet and compliment the soup so well. 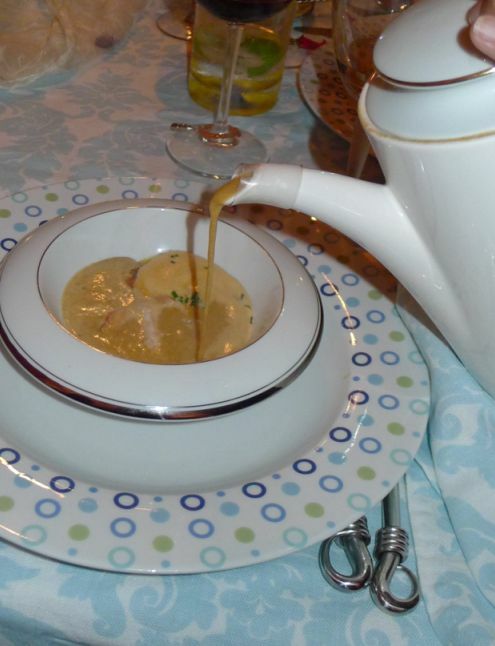 The soup is brought out and serve without the broth because I wanted my guest to see the sweet corn purée and the crab meat before covering it with the soup. 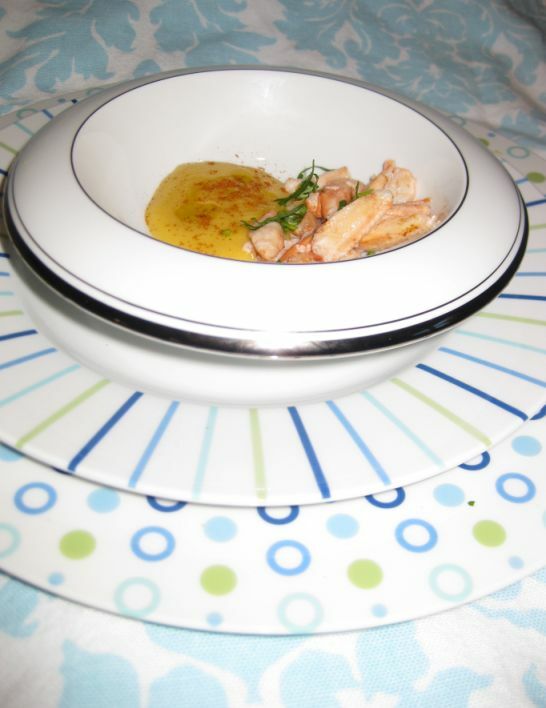 This is how the soup is brought out to the table so my guests can see the corn purée and the crab meat. 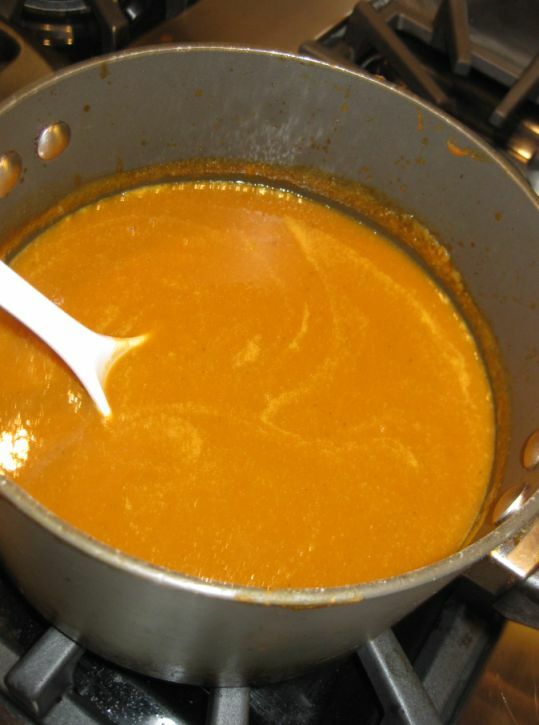 This is how the soup looks like when the broth is poured on top. 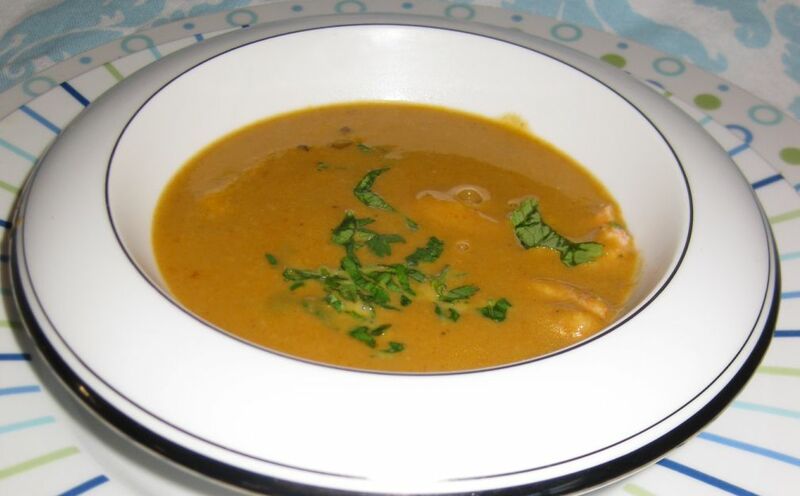 I think serving a soup without a broth make your guests wonder what is going on... and then one the broth is poured on top it totally makes sense. 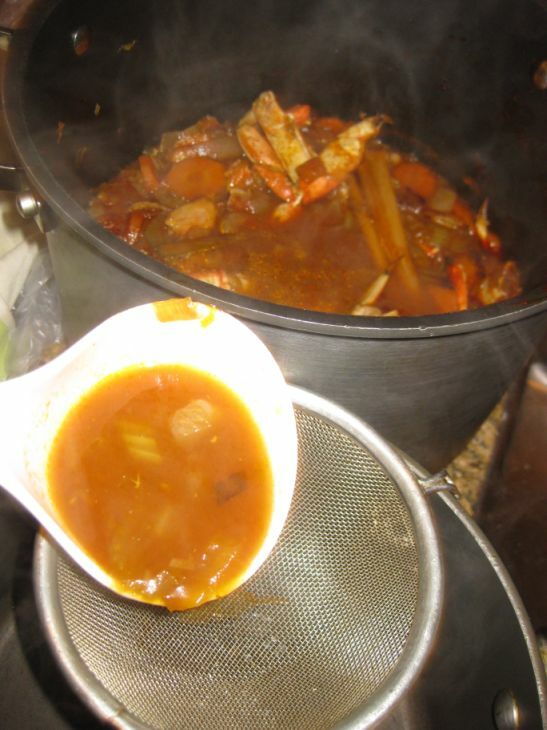 Bring a large pot filled with water to a boiling pot. 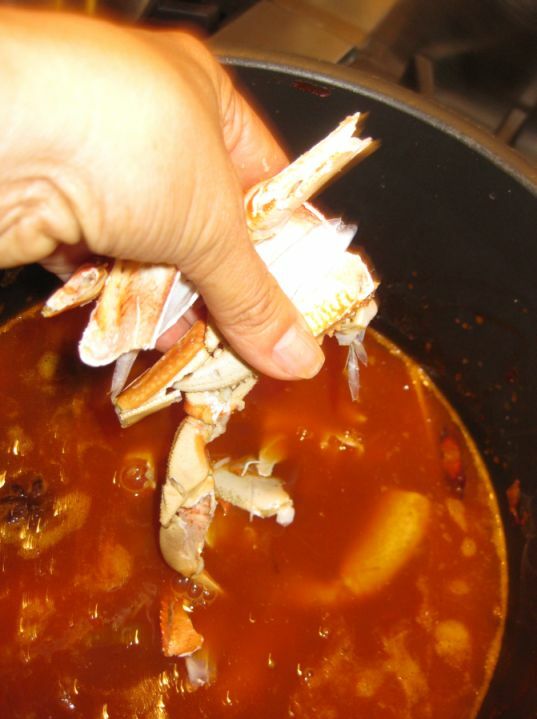 Drop the crab in the pot. Cover and cook fore 20 minutes. 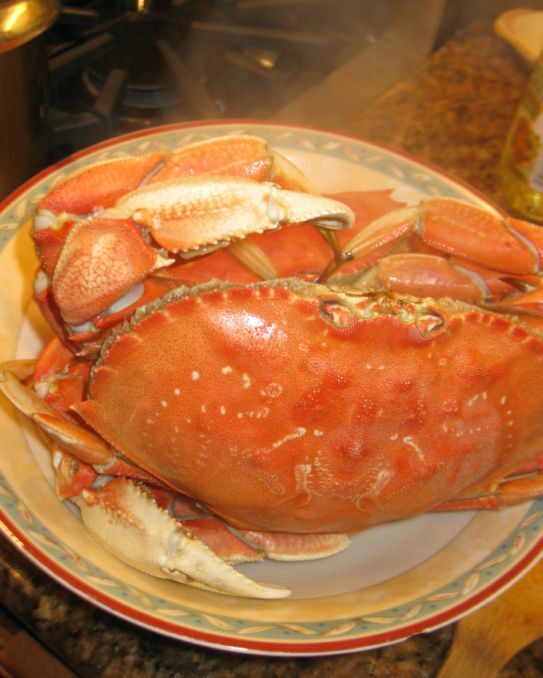 After 20 minutes remove the crab and put them in a large bowl. Let them cool down and remove the meat. 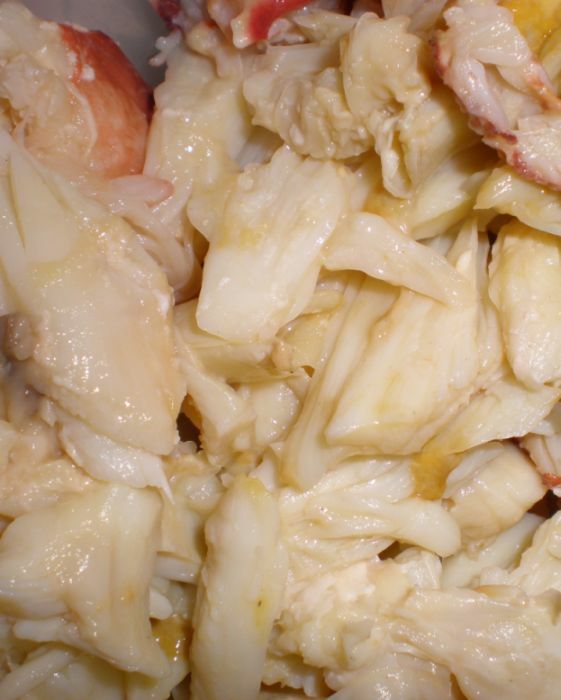 Twist off the claws and legs, then separate the body from the main crab. Remove all the meat and set aside. 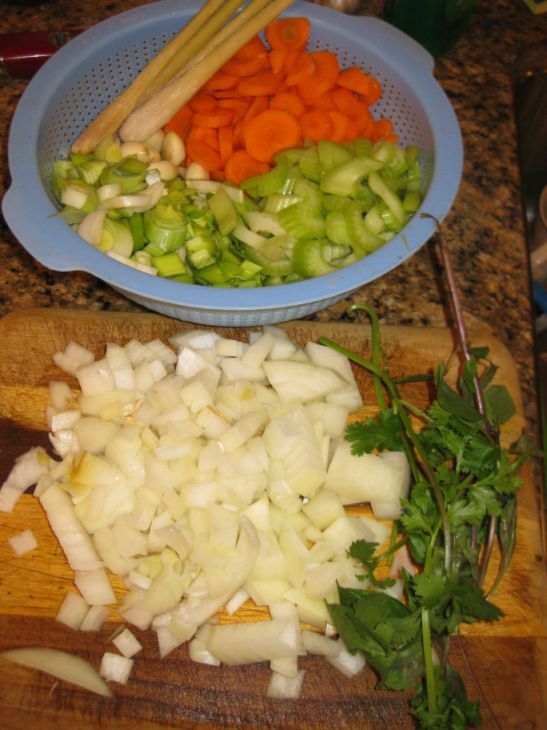 Chopped the onion, celery, leek, and carrots. Heat the olive oil in large pan put all the vegetables in the pan. 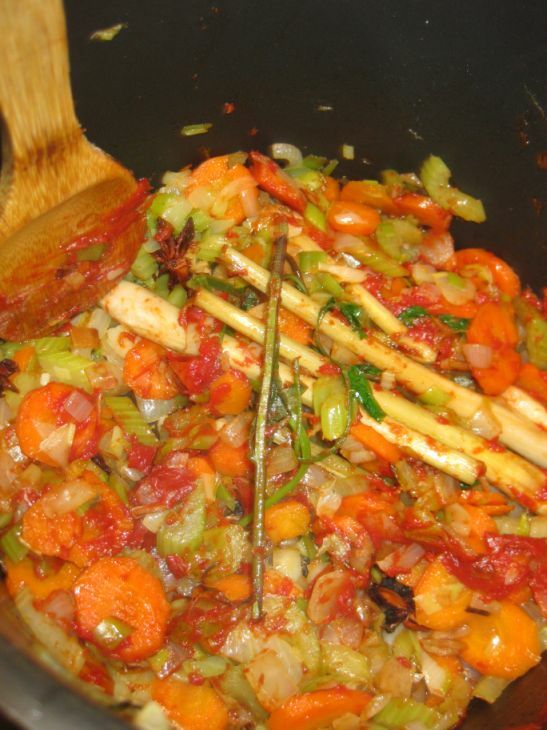 Cook the chopped vegetable with the garlic until evenly browned. 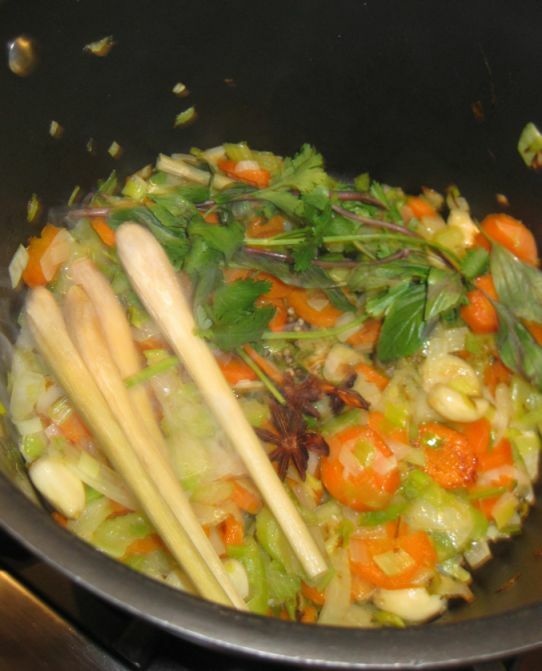 Add the herbs stalks, lemon grass, peppercorn, star anise, and coriander seeds. Stir in the tomato paste and cook for 3 to 4 minutes. Add the brandy and flambé. When the flame dies down, add the wine and let bubble until reduced to a sticky consistency. 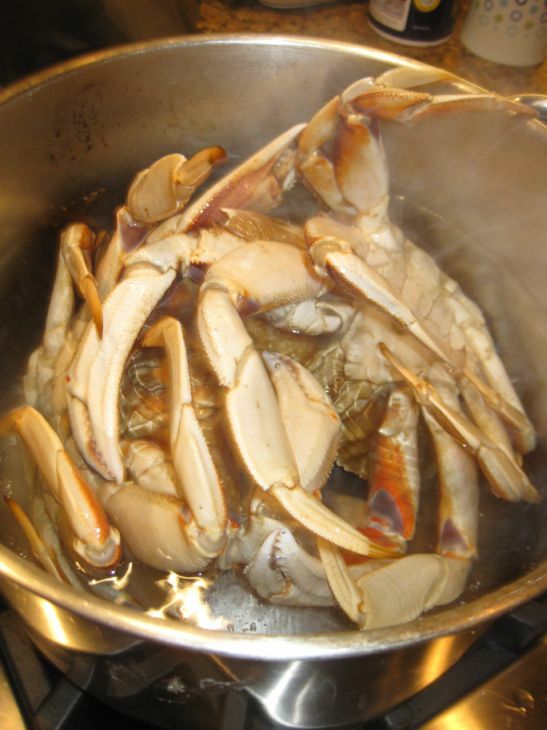 Add the crab shells and bring to a simmer for about 30 to 40 minutes. 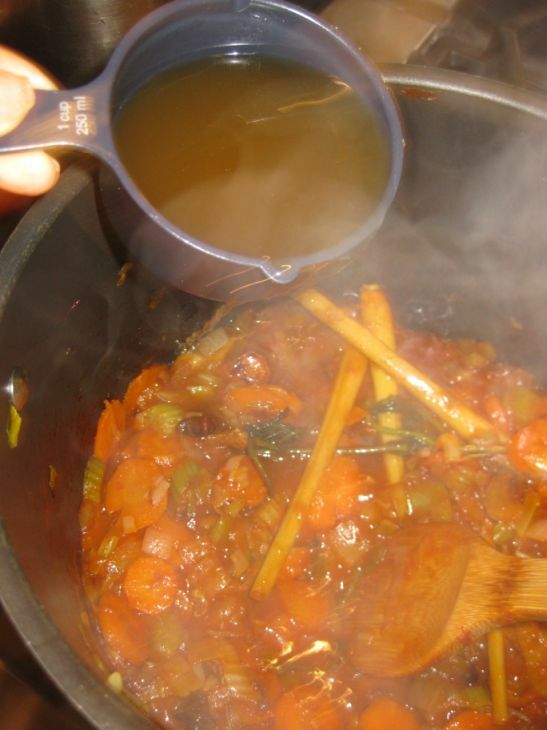 Pass the stock through a fine strainer into a clean pan. Pressing the residue in the strainer with the back of a spoon to extract as much flavor as possible. Add the whipped cream and heat through. 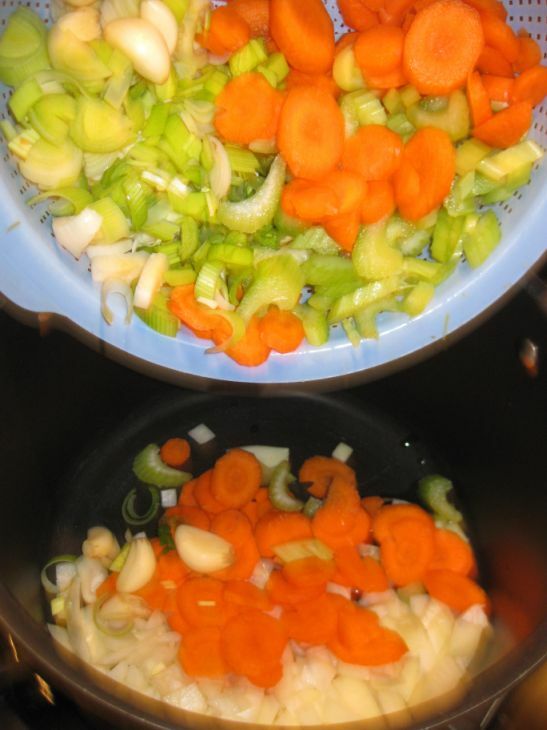 Reduce slightly if necessary until you have a good soupy consistency. Whisk in the butter, a little at a time. Finally season with salt and pepper and add a squeeze of lemon juice. to taste. 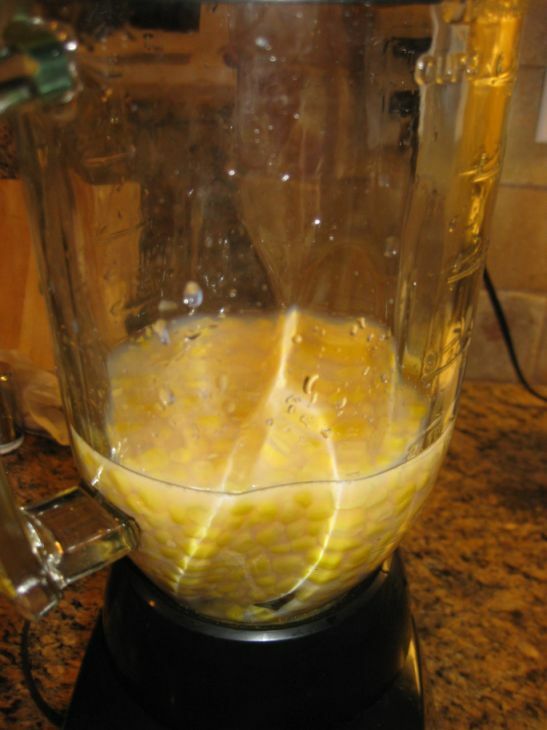 Pour the corn into a blender, adding the liquid from the can. Whiz until smooth. Then pass through a fine strainer into a bowl. Taste and add a pinch of sugar or salt if necessary. 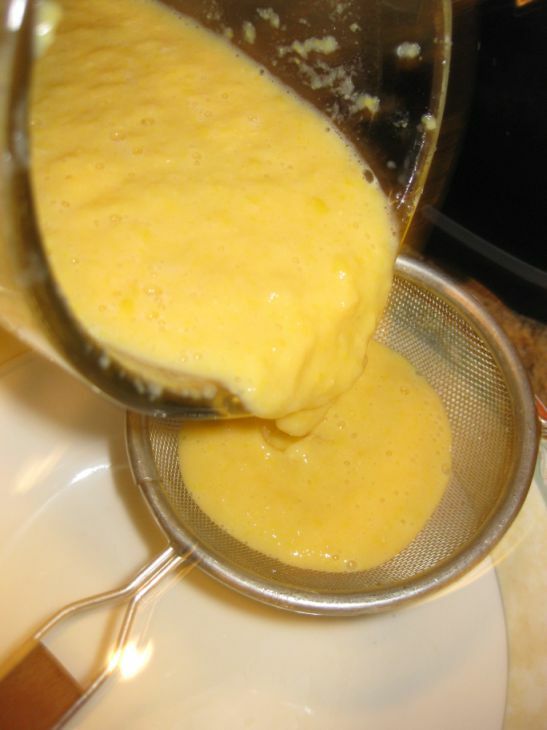 Put a piece of butter in a sauté pan and warm the corn purée. 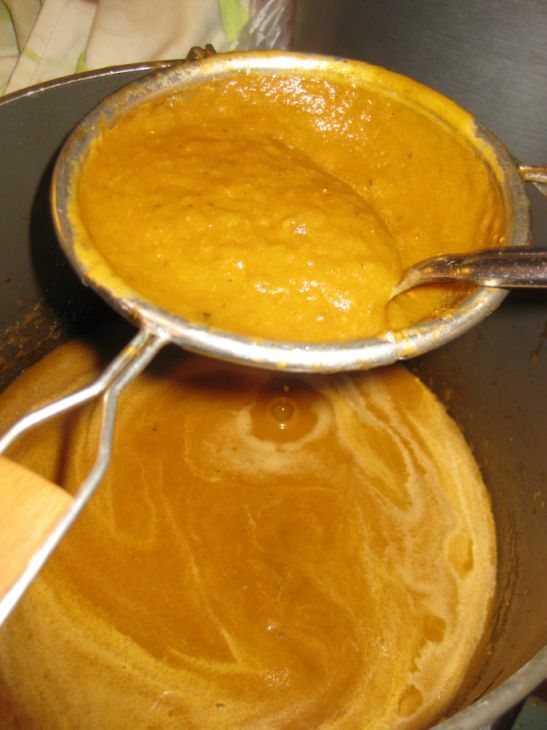 Let it reduce to a thick puree. make sure to cover your pan because the corn will bubble and will splash all over.